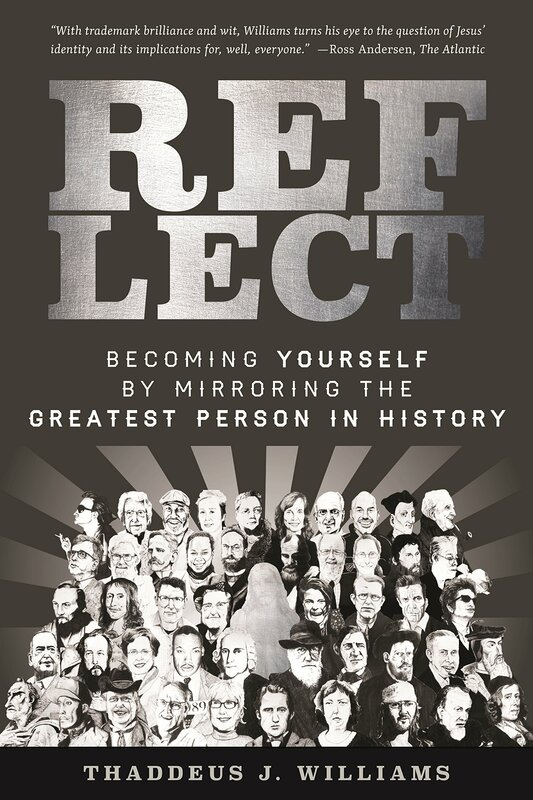 Reflect: Becoming Yourself By Mirroring the Greatest Person in History by Thaddeus J. Williams is published by Weaver Book Company. First, let’s deal with my anger issues. I did not know this book existed, nor did I know that Thaddeus Williams existed until a month or two ago. Here I am, slogging my way through this world, slipping and falling, sliding and failing, distracted by one worldly pursuit after another, wallowing in near illiteracy, and all the while, this book was out there. 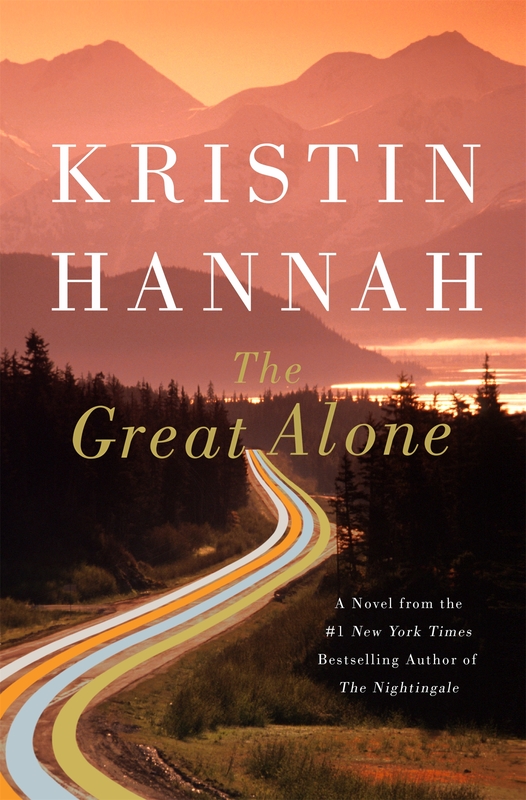 I have already rebuked two friends, Andrew Sandlin and Brian Mattson, for writing glowing blurbs for this book, but not informing me of how good it is. Related to all this, if Thaddeus Williams was really concerned with us mirroring Jesus, he should have personally flown across the country and hand delivered this book to me. The fact that he did (or does) not know me is irrelevant. This is a book I needed. If it could be put in liquid form, I would have an IV attached to my arm and have the book fed to me that way. Second, this book threw off my morning reading rituals. I usually read only about ten pages a day in several different morning reads. 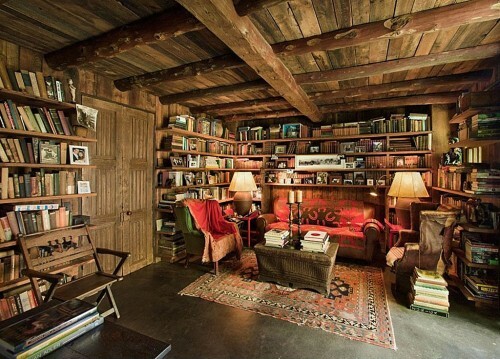 In this case, I would find myself reading and reading and reading until I was too full. I was gulping this book down in whole chapters at a time. Where else will you see Bonhoeffer and Johnny Cash side by side? Or Lecrae the rapper in between Augustine and G. K. Chesterton? 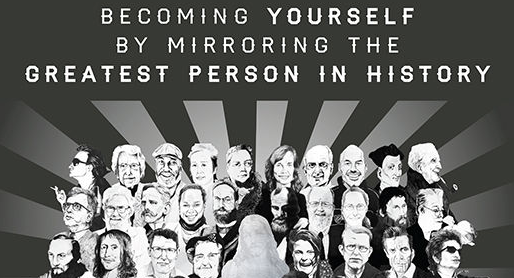 Or Charles Darwin looking rather uncomfortable because he is next to Jonathan Edwards? This isn’t just clever cover art. Each of the theologians, Christian authors, musicians, and cultural figures are quoted in the book with their own words being used to buttress arguments about following the life, teachings, and work of Jesus Christ. Some, but not all of the supporting cast in this book about Jesus Christ. The title Reflect is itself full of meaning. I must admit that as a book reviewer (my idea of a sports activity), I am always pressed to read and finish rather than read and reflect. But we all have our urgent tyrannies. Sometimes the words, “Nice sermon, pastor” (or I prefer to say, “Better luck next time”) is all of our response or reflection on a Sunday sermon. After all, the sermon is over at noon or slightly past that and the call of the stomach for food is all consuming. We all live too fast and furiously too much of the time and don’t take time to reflect on the Christian life. This book is not a remaking of the Charles Sheldon’s somewhat drippy book In His Steps which was premised on the statement of “What Would Jesus Do?” There is something to be said about the recurring WWJD idea or, now what we would call a meme. But WWJD has to be approached with discernment. Don’t come after me with a whip and turn over my book table where I am offering copies of this book in the church foyer. Thinking about Jesus brings us to the R in the word Reflect and to the first point of the book. Reason: Mirroring the Profound Thinking of Jesus. I probably have a hundred books related to Christian thinking. 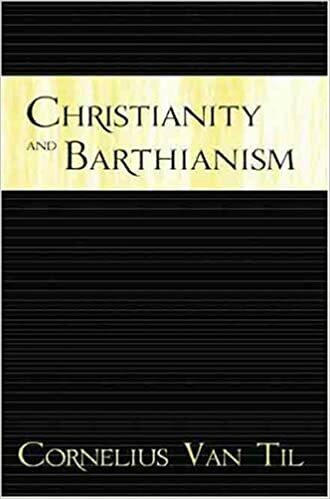 From Harry Blamires’ The Christian Mind to Herman Dooyeweerd A New Critique of Theoretical Thought to Augustine’s On Christian Doctrine to John Piper’s Think, I have been accumulating, reading, and using books showing how Christians ought to think. After all, I am in the thinking business since I am a teacher. The E in Reflect represent Emote: Mirroring the Just Sentiments of Jesus. I am enough of a crusty, old-time Calvinist to shudder when I am around too much emoting. Modern Christianity, hand in hand with modern life in general, “thinks” emotion is thought, that feelings are doctrines, that being all heart is following Jesus, truth, and the American way. The Christian doctrine of emotion, even that phrase sounds weird to me, is not to be Stoically cold and calculating to every event. Jesus was an emotional man. Being fully man and fully God, He is an emotional Person in the Triune Emotional Godhead. When Williams talks about “outrage, passion, and joy,” he is describing aspects of the life of Jesus. Theologians such as Jonathan Edwards and pastors such as Samuel Rutherford could write things that were downright embarrassing because they were so emotional in their devotion to Jesus. F stands for Flip: Mirroring the Upside-Down Action of Jesus. As the criticism was made later that the apostles were turning the world upside-down by their teachings (Acts 17:6), so this could be made about Jesus. Maybe we have read and heard the Bible stories too many times (let the reader understand), so we often are too used to, too comfortable with Jesus’ flipping situations, teachings, ideas, etc. L stands for Love: Mirroring the Radical Relationability of Jesus. Once again, we are so accustomed to the use of the word “love” in a Jesus and church context that we forget how radical and challenging this is. E stands for Elevate: Mirroring the Saving Grace of Jesus. I was so thankful for this chapter. Here is why: Basically, I believe in salvation by works plus grace. Basically, I believe that while I might be a C- Christian, I am passing and will get promoted to heaven. Grace always hits me hard and right between the eyes. It corrects what is has already corrected a million times in my life and reinforces to me that Jesus saves sinners. Saves, not just helps; saves, not just instructs; saves, not just supplements my own efforts. C stands for Create: Mirroring the Artistic Genius of Jesus. This is the chapter (not to be read by skipping ahead) that I commend to all my artistic friends and family members. Poets, musicians, artists, designers, and writers: Take note how we as Christians are to follow Jesus as our Master Artist. For a time, there were tables, chairs, or other items that Jesus the Carpenter had made. No doubt these artistic works were well done, but Jesus the Artist, Designer, Author, Carpenter, Painter left us His magnum opus: An empty tomb. All the great paintings, all the fine poetry, and all the moving songs (“He’s Alive” by Dolly Parton is my favorite) and then realize that they are all covers, imitations, and copies of the original: Jesus’ Resurrection. T stands for Transform: Mirroring Jesus in All of Life. Transformation is an underused and overwhelming word in the Christian life. As a Christian who uses the word “Reformed” to describe my theology, I really need to be a Transformed Christian more and more. It is not a one time action, but a life-long process. Since I have given all these spoilers, is there any reason now to read this book? As my pastor Jared Gibson often says, “Are you crazy?” (Or the milder version, “Are you kidding?”). Read, reflect, read again, buy copies and give them to those that need to read and reflect. Don’t talk to me about the splendors of the Renaissance, nor about the glories of the printing press of the Reformation, nor about the Puritan Revolution. They all pale beside what is going on today. 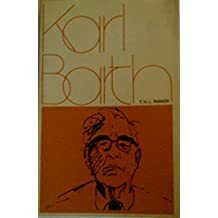 When I first embraced Reformed theology in the late 1970’s, it was possible to keep up and or at least be aware of most of the major publications. Back in those days, Puritan-Reformed Books (in Delaware) was a clearing house for the many and varied Reformed publishers and titles. There were a couple of newsletters and magazines of a Reformed variety that were chocked full of material as well. I thought I was overwhelmed back in those days with reading challenges and opportunities. That was a trickle. We are living in a tidal wave. 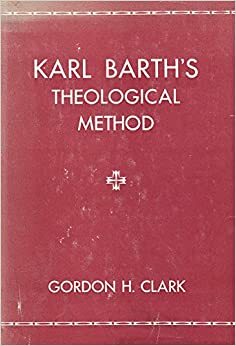 Via the internet alone, one can access more Reformed theological works than one could find by shopping and mail ordering in the 1970’s. Today, there are more reprints, more new books, more new publishers, more sources for out-of-print books, more PDF’s, more used book sellers, and more of everything a serious reading Reformed Christian would want. Add to that this fact: The broader Protestant evangelical community is far more open to and accepting of Calvinist authors and titles than was the case years ago. One can enter a Christian book store today and walk out with arm loads of books by Spurgeon, Pink, Sproul, Keller, Mohler, Devers, Piper, and others. 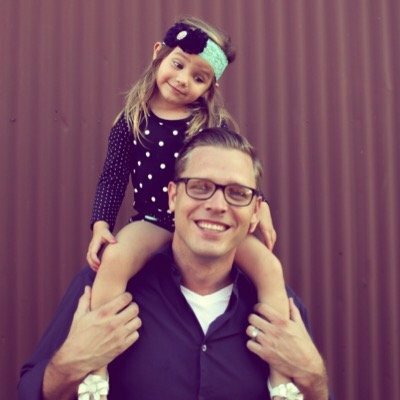 Yes, some of us older, more crusty Calvinists can scoff at some of what might seem to be Calvinist-lite, new Calvinism, and a more congenial approach to Reformed theology. Yes, I still like the unabashed pure strains found in Warfield, the Hodges, Machen, and Boettner. But we are experiencing a tidal wave, as I said. And it is not just here in the U. S. or in the English speaking world. Almost daily, I am being encouraged by a hardy band of young, restless, Bible and theology-hungry Reformed Christians in Brazil. Being a book reviewer in this day and time is both great fun and impossible. I cannot even hope to get through all the books I need to get through. Many that I read are of such a quality as to demand re-readings. What a problem to give thanks for! Reformation Worship: Liturgies from the Past for the Present is edited by Jonathan Gibson and Mark Earngey and is published by New Growth Press. This is a massive work, a treasure trove of theological wealth, a compendium of Reformation resources. While daunting to behold due to its size, it is easily accessible because one can pick and choose where to begin. There are 26 historical liturgies along with historical introductions. This will be high on the list for summer reading and perusing. Already this book is getting lots of attention in Reformed circles. Yep, it costs a bit, but not too much considering the size of the book and quality of the packaging. 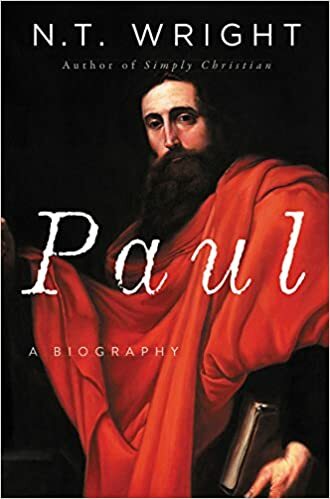 Paul: A Biography by N. T. Wright is published by HarperCollinsPublishers. 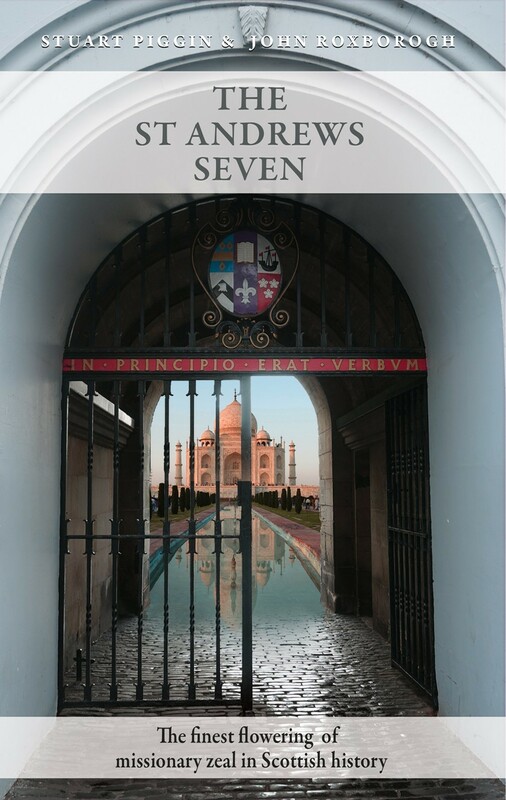 You can listen to Bishop Wright discuss the book and subject here. N. T. Wright has his ardent fans and bitter foes. 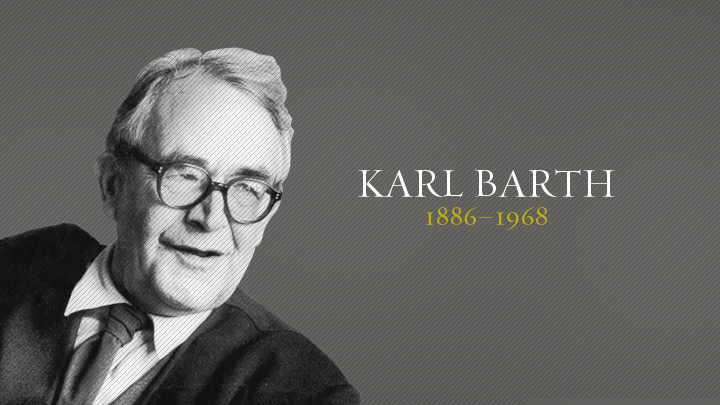 He has written an incredible number of both scholarly and more popular Christian works. Paul’s Epistles are his specialty. I profit from Wright’s books. I do not profess to be a great student of his thought or system. I read things that astound me by him and things that puzzle me. His way of speaking and describing theology is not my way. That, too, is a reason why I read him. I have only glanced at this book, but am looking forward to delving into it in June. 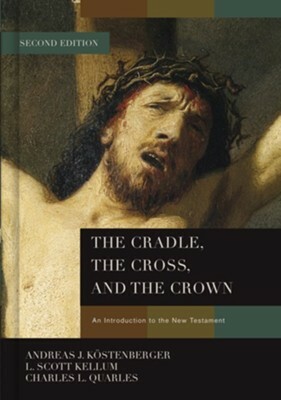 The Cradle, the Cross, and the Crown: An Introduction to the New Testament is by Andreas J. Kostenberger, L. Scott Kellum, and Charles L. Quarles. 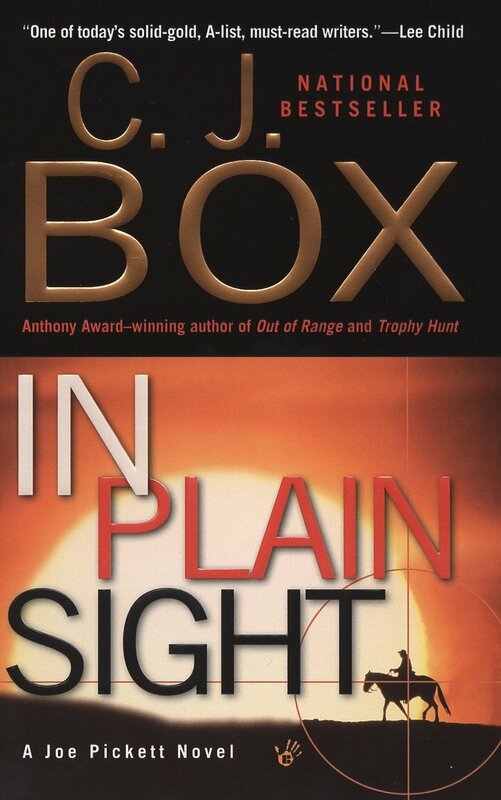 It is published by B & H Publishers, one of my favorites. This is another hefty book, but it is, after all a textbook style “introduction.” I lament not having had any formal study of theology and the Bible. I continue to pick up bits and pieces of a theological understanding here and there. While there are many New Testament textbooks, this is the one that I will be focusing on this summer. 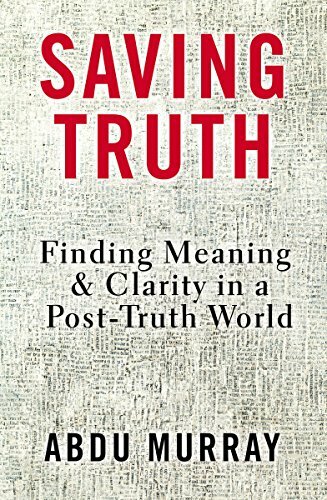 Saving Truth: Finding Meaning & Clarity in a Post-Truth World by Abdu Murray is published by Zondervan. Murray’s website for this book can be found HERE. I am already well into reading this book. It is yet another call to Christians (and any non-Christians willing to read this book) to be alert to yet another tragic turn in our culture. The battle is for Truth itself. It is not a new battle, but each generation has to fight this concern in another manner. We are all subject to “fake news,” opinions posing as truth, attacks on truth, redefinitions of truth, and questions about whether truth even exists. 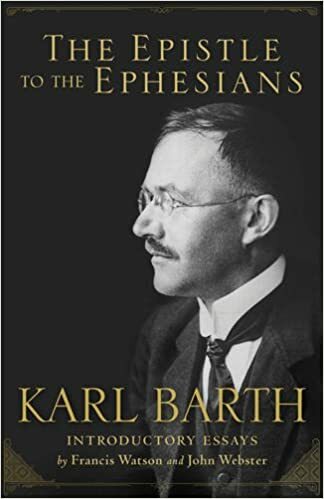 In the spirit of Christian cultural critics and observers like Francis Schaeffer, Charles Colson, Os Guinness, and others, this book is a worthwhile examination of a key issue we cannot escape. This past year marked the 100th year anniversary of the Russian Revolutions. Most of the applauding and celebrating came from those who rejoiced in the fall, rather than the rise of Communist Russia. The Russian Revolution(s) is a story filled with all manner of drama, tragedy, near fulfillment of hopes, and unexpected turns of events. It might have been simply a sideshow to World War I, but it became something much bigger, more enduring, and more terrifying. The death count related to world-wide Communism has been listed as 100 million, and the count is not yet complete. 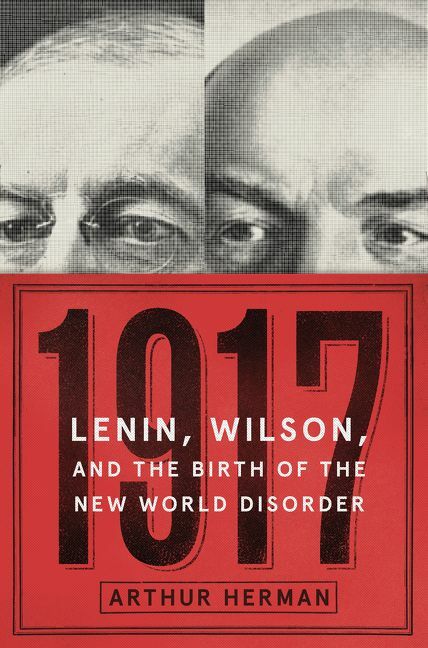 It is surprising that as 1917 was beginning, Woodrow Wilson and Vladimir Lenin were still sidelined on the cataclysmic war that was engulfing Europe. By the end of the year, they were the two prime movers and shakers in what was happening. There are, no doubt, plenty of books with plenty of positive things to say about Wilson and Lenin. By no means are the two men just alike. Herman notes clear differences as well as gifts and strengths of each man. But as his subtitle indicates, the results of their tampering with the world, 1919 gave us a world recovering from war and preparing for decades of disorder and preparation for the next war. The story of Woodrow Wilson is painful. Brilliant, no doubt, Wilson was insufferable. His idealism was matched by a theological bent that convinced him that he was or his vision was God’s plan for the world. He imbibed much from his upbringing in a Presbyterian manse, but he did not seem to be grounded in sound doctrine. He did, for better or worse, want to avoid bringing the United States into World War I as a fighting power. At the same time, he wanted to rise above the powers of Europe and the older ways of war and diplomacy and craft a more perfect world. The key statement of his vision in found in the Fourteen Points. Germany, reeling from the war by 1918, called for an armistice, hoping the 14 Points would work to their advantage. They didn’t. Wilson was as vindictive as he was idealistic. But all that came out after the firing stopped. Prior to that, the United States entered a war that it was totally unprepared for in 1917. A year later, even with troops pouring into France, the U. S. was not producing equipment for its own still fresh men. As a manager and administrator over a war government, Wilson was a disaster. Lenin had plenty of problems of his own. His return to Russia was financed and provided for by the German government. As a measure to produce chaos behind the lines in the east, it worked better than any could have imagined. Russia underwent its first revolution and toppled the Tsar in February. In October, revolutionary actions finished off the provisional government headed by Alexander Kerensky, and moved the soviets into positions of power. With Leon Trotsky overseeing the military, and a young Stalin perfecting ways of eliminating enemies (broadly defined), a totalitarian state was being put into place. Everything that would, in time, characterize the Evil Empire (Ronald Reagan’s term) was started during this time: acts of terror against the citizens, arrests right and left, establishment of the Gulag system, and the implementation of a secret police (forerunner to the KGB). Arthur Herman, author of quite a few fine histories, has done a magnificent job in telling a terrible story in a way that is gripping. Full of insights, a few jabs at recent events, plenty of good narrative, this book will be a hard one to best in this upcoming year of reading. 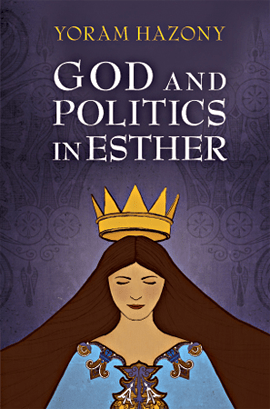 God and Politics in Esther by Yoram Hazony is Cambridge University Press. Dr. Hazony’s website is found HERE. The author is a Jewish scholar who researches and writes about philosophy and theology, political theory and intellectual history. 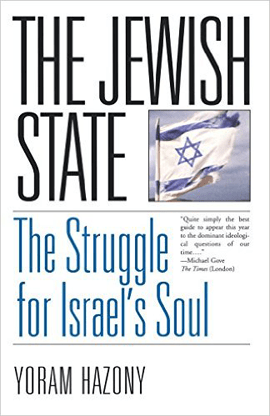 Hazony’s previous books are The Philosophy of Hebrew Scripture (Cambridge University Press, 2012) and The Jewish State: The Struggle for Israel’s Soul (Basic Books, 2000). His next book is and will be completed with My next book is The Virtue of Nationalism (Basic Books, 2018). This book on Esther is one I fear will not get enough attention from many of the circles I am in. I am a Protestant Christian with Reformed and Evangelical ties. I have lots of close connections with Presbyterians, Reformed Baptists, and Christians of other and non-denominational affiliations. 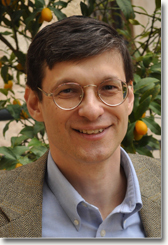 Hazony fits into none of those categories, nor is he Catholic or Orthodox, but is a Jewish scholar living in Israel with his wife and nine children. He is highly recognized and respected in many circles, but, as indicated, overlooked in my world. 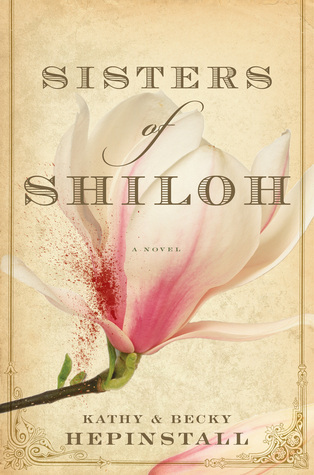 About the same time that I became aware of this book, a church in my town was having a Bible study for women on the Book of Esther. I did not attend that study for obvious reasons, but was curious as to how it would differ from this book. I think that Esther is capable of being taught from different angles to different audiences, so my point is not contentious. It is published by Cambridge University Press. For me, that is a major plus. I am constantly amazed at the outpouring of books from university presses. Certainly, there are plenty of astoundingly obscure topics that grow into books interesting to very small circles. Such books will line the shelves mainly of university libraries. But there are also a multitude of books for less specialized readers, but such books rarely appear on the bookshelves of our local book stores. University Press publications tend to be highly priced. I am usually dependent on review copies or used copies or university press sales for such books. 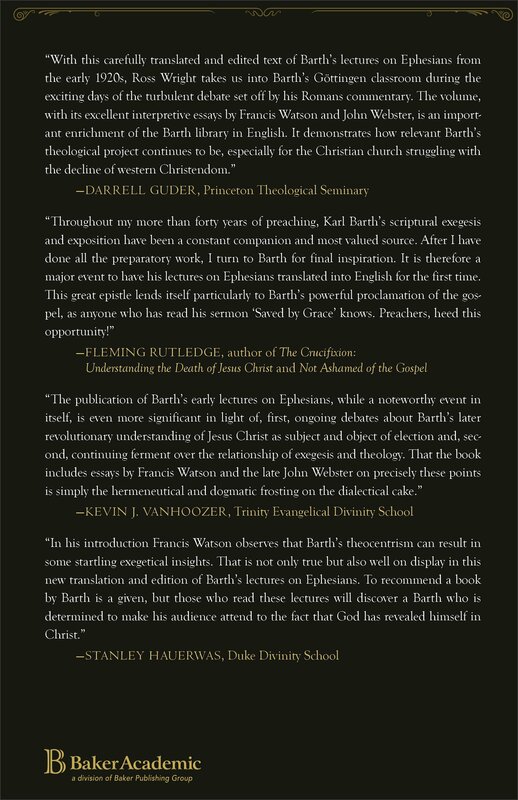 It is not a conventional commentary and is not a Christian-directed book. As noted, the author is Jewish. This book is not all that easy to classify. Does it go in the religion section? Perhaps, since it is about the Old Testament. Or does it belong in the political science area? The word Politics is not just in the title, but is a vital part of the content. The field of politics is itself an area of philosophy, so maybe the book should be wedged into the philosophy shelves. 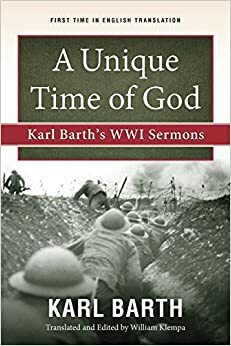 But how would a pastor preach a series on this book which never directly mentions the name of God and that deals with so many intricate political problems? My answer: Read Hazony’s book. Chapter 5, which is titled “Idolatry,” is worth the time and effort and cost of the book itself. This is a book about bad leadership, false beliefs, and survival of faith amidst evil people. Idolatry, while not overtly apparent as in the case of the Golden Calf, is nevertheless the great evil in this book. Another key theme is that of God’s sovereignty and man’s responsibility. This is a favorite Calvinist Sunday afternoon topic of thought or discussion. J. I. Packer’s book Evangelism and the Sovereignty of God is still a classic favorite. Hazony does not take a view that is totally compatible to my Reformed disposition. But he does offer some ideas–both acceptable and debatable–about the role that people must take without depending upon a Deus ex machina. We Christians believe in both the presence of God and the intervention of God in human events. Yet, we too face a world and circumstances that causes us to question where God was when certain events happened or why God allowed (and/or purposed) such. The easy answers are not found in this book, but it is a help along the way. 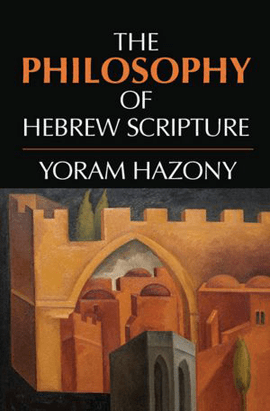 Thanks to my friend Paul David Robinson, a philosopher in the making and a brilliant fellow, for recommending Hazony’s book The Philosophy of Hebrew Scripture in a Facebook post. That discovery led to this book. My copy of this book is autographed! Thanks again to Paul David Robinson for commending this book. 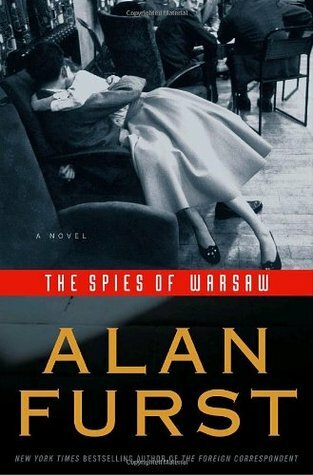 Used copies of this book (and mine is a used copy) are very affordable. 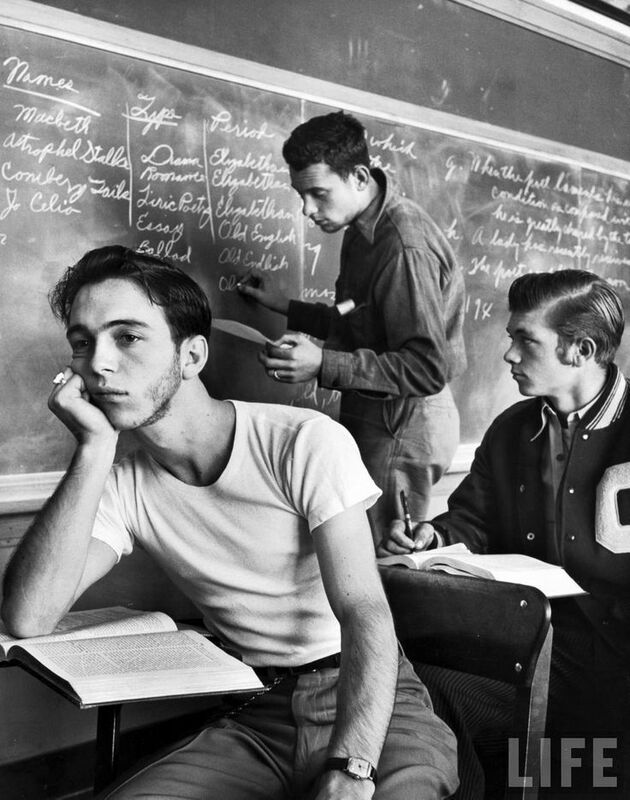 Truth be known, I have often been the kid at the back of the classroom. Rather than sitting on the front row, taking notes, listening intently, I am sitting at the back of the room and gazing about absent-mindedly. When the pressure is on–meaning the assignment is due tomorrow or I am on the verge of failing–I get busy. Bottom line: I am usually a bad student. The front row students hypervenilate until their copy of the book is in their hands. And, they are anxiously awaiting that still future event where some mega-work on Chalmers by Grant himself arrives in print. Meanwhile, on the back row, all I hear is that there is some book called Seven Saints Named Andrew, which I confuse with Seven Brides for Seven Brothers (a movie), which I might watch instead of having to read the book. Then a copy of the book arrives in the mail. That is like a note sent home to the parents. So, with the pressure on, I have finally begun to plod my way through this massive 150 pages tome with no pictures. In popular terms, and some people actually think this, the preacher only works one day a week.